I absolutely adore Asian food, and while I’ve indulged in the likes of Indian, Pakistani and Thai cuisine, Malaysian gastronomy has evaded me until now. So, when Penang invited me to try out their food at their Westfield (White City) branch in London, I jumped at the opportunity. Here’s what the food was like! I always find that starters are a fantastic introduction to new cuisines and fortunately, Penang’s didn’t disappoint. 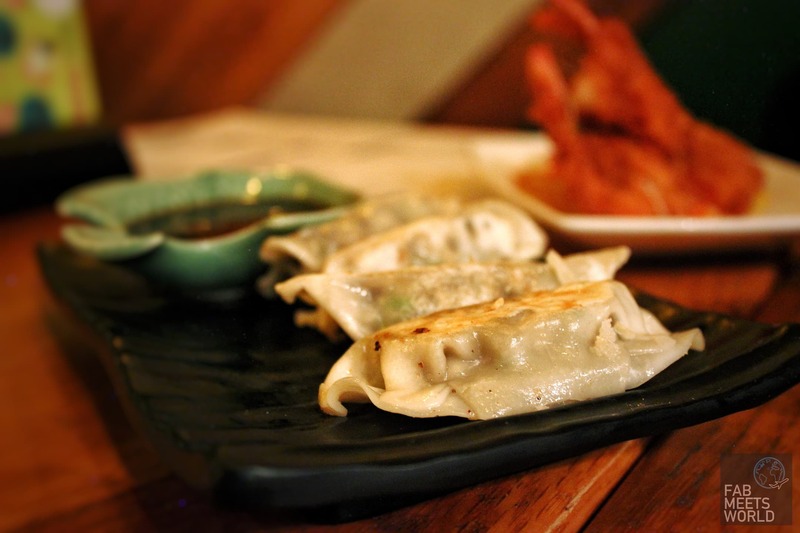 To kick things off we ordered some grilled vegetarian dumplings (also called gyozas in Japan). They had a lovely firm texture on the outside and after a bite, the mixed vegetable filling came pouring out. The dumpling was tasty when you dipped it into the soya sauce, but it lacked any emphatic flavours on its own. 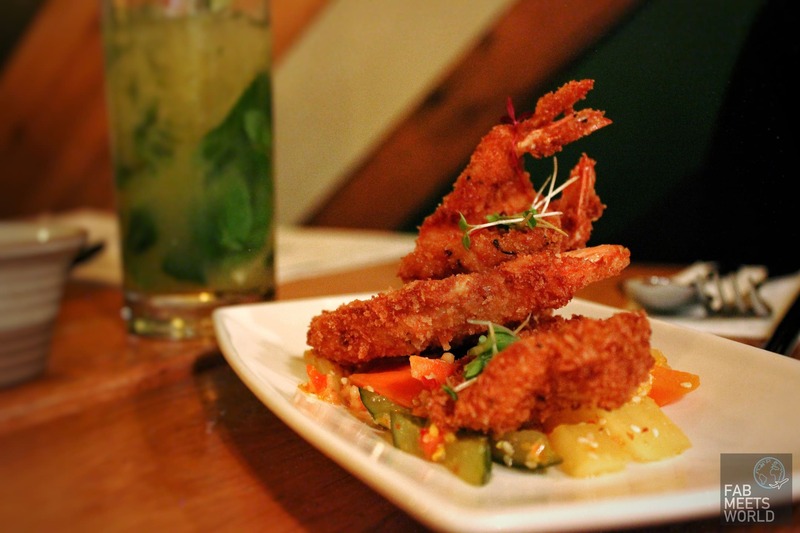 Next up, we dived into these beautiful butterfly prawns. Covered in a crispy batter, Penang’s prawns are served on a colourful bed of marinated mixed vegetables & sesame seeds — along with sweet chilli sauce to dunk it all into. The prawns relied a little too much on the sweet chilli sauce and vegetables to give it a kick for my liking, and if I’m going to be totally honest, £8 for 3 prawns felt a little excessive. However, if you’re a sucker for prawns and money isn’t an issue then I’m sure you’ll enjoy this dish. 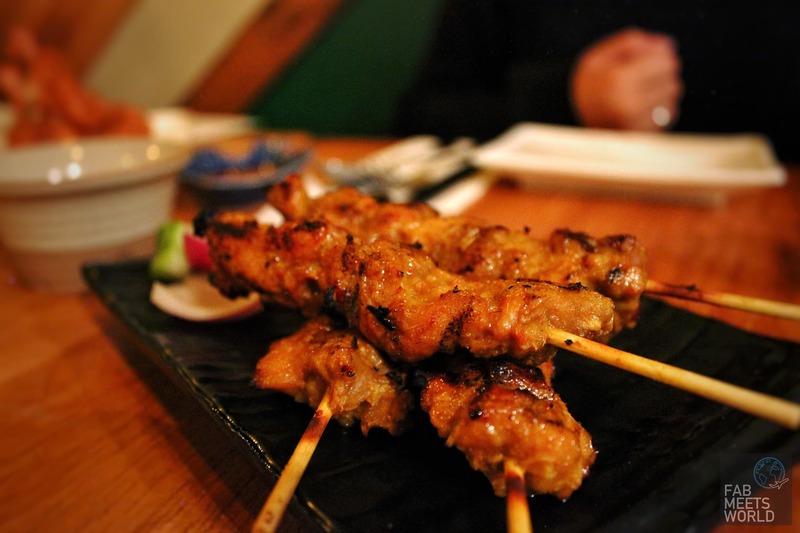 To wrap up starters I had good old chicken satay — my favourite of the lot — and a must-have at Penang in my opinion. The tender chicken thighs had a wonderful, rich marinade with a spicy kick for good measure. Paired with that charred coating and dunked into Penang’s rich peanut sauce, the chicken satay was a dish with a lot of character and I’d totally have it again. 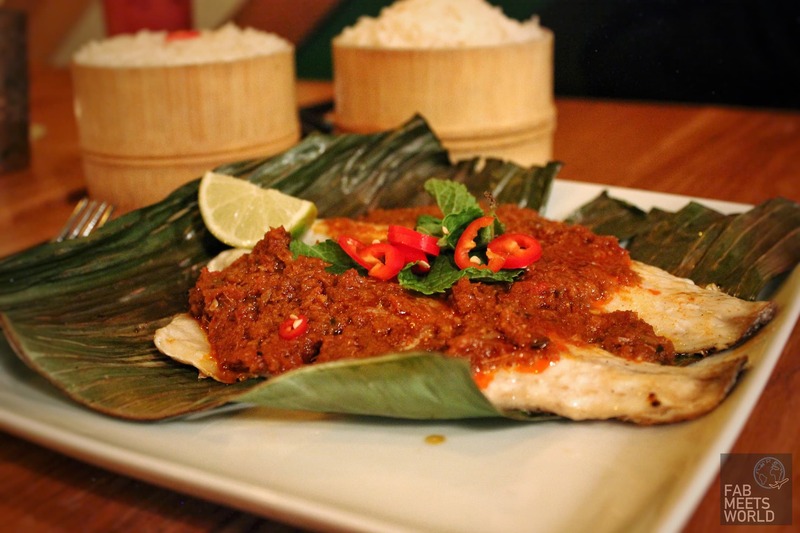 For mains, we ordered a couple of dishes: the Chargrilled Seabass Fillet (cooked in banana leaves with chilli, lemongrass and shrimp paste) along with a more traditional Beef Rendang (prime beef, slow cooked in aromatic spices, coconut milk and fresh lime). What stood out to me about the Beef Rendang was just how tender the meat was. Even using chopsticks I was able to pull apart strands of beef effortlessly! 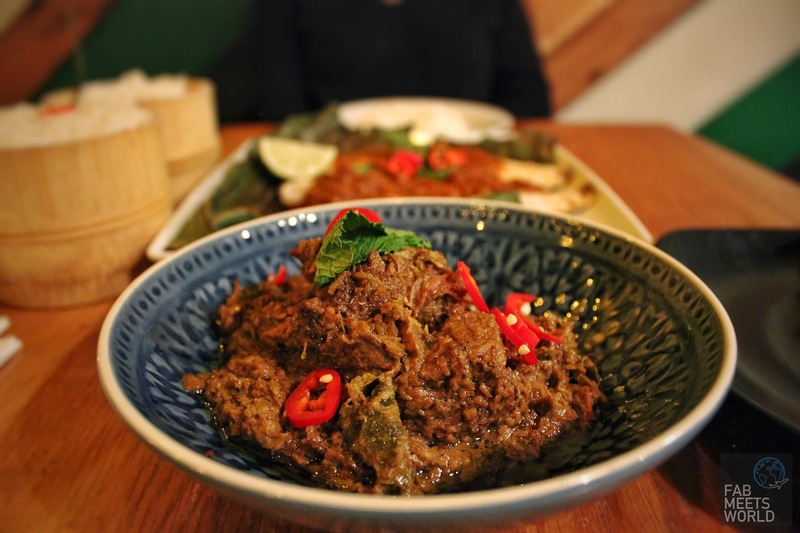 Now I’ve never had Malaysian food, and maybe it’s because I’m used to the more intense flavours of Indian meats, but I found that the Rendang could have done with a few notches of flavour — especially because of the enticing description. At times it tasted very meaty and I wasn’t getting enough of those delicious spices. I did speak with the chef about this, who reassured me that they’re tweaking the menu to fix this over the coming weeks. Would I try it again? Most definitely. It was flavoursome enough to give me a good impression and I’d happily give it another shot. It’s Penang’s Chargrilled Seabass that captured my attention, though. Served on a banana leaf (nice touch), the fish was perfectly grilled with a soft texture on the inside. Squeeze a bit of lime on top of that delicious, rich shrimp paste and you’ll have a refreshing explosion of flavours in your mouth. Alongside some rice, it really was a fantastic dish. Speaking of rice: the coconut rice was very good and portion sizes were generous, however, like the Rendang, it needed another notch of flavour. I was expecting a far richer taste/smell of coconut, and in all honesty, I think I could have ordered normal rice and not noticed the difference. Fried banana seems to be a typical South East Asian dessert, so I wanted to give Penang’s a try. While the portion size here was very generous — easily enough to share between two — it tasted bland and didn’t look particularly attractive. 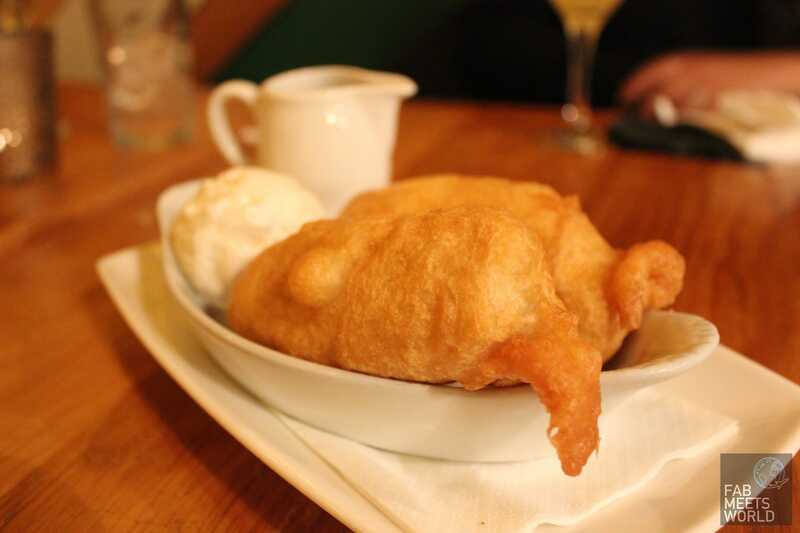 Battered banana with a drizzle of sugar syrup and vanilla ice cream on the side; it failed to wow me and was frankly an “OK” end to a tasty meal. Penang’s ambience and quality of food definitely made me want to return. Some of the dishes could do with refinements and a bump in flavour intensity (hopefully the chef is already working on it! ), and desserts definitely need attention in my opinion. However, all in all, I’d have no reservations in going back or recommending it to others. 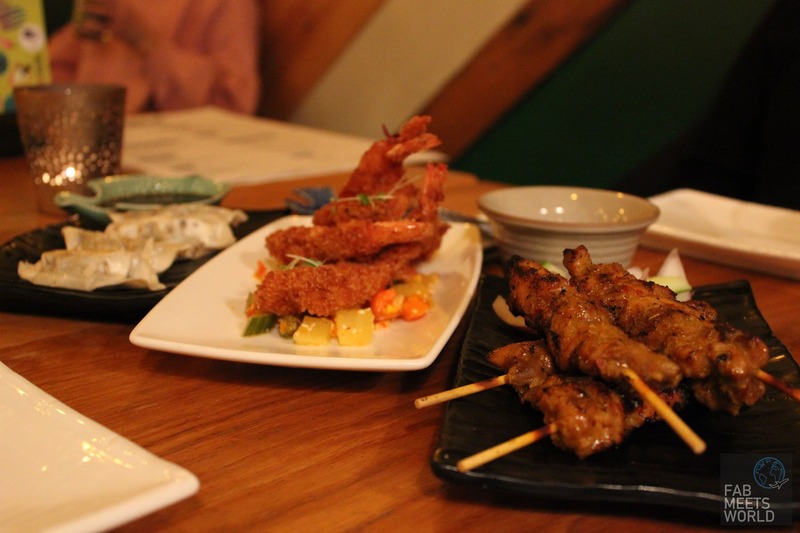 It’s a restaurant with a fantastic ambience, tasty food and offers something different from other mainstream Asian options like Wagamama and Ping Pong.